*Click here to listen to Srila Prabhupada chanting Hare Krishna (mp3). "This Transcendental Sound Vibration is called Bhaktiyoga, or the Yoga of Ecstacy. It is easy and can be practiced by anyone. Simply sit down, RELAX, and LISTEN! Listen carefully and gradually you will begin to feel like singing too. SING! As you sing, you will feel like dancing. Dance! Do the 'Dance of Ecstacy.' Anyone can. There is no question of learning it. You already know it! Simply raise your arms over your head and dance. RELAX, SING, DANCE. A new life of bliss and Cosmic Consciousness await you on the other side of the mirror of the mind. This life is lived in love and can most easily be reached by SINGING and DANCING. This is Bhaktiyoga, the yoga for a New Age. Try it!" 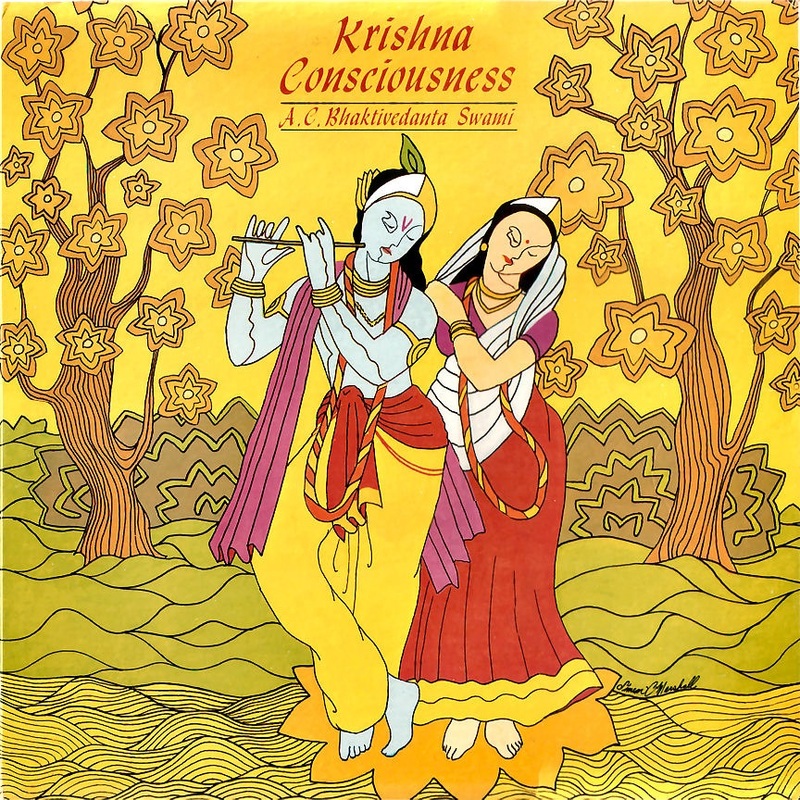 "Before meeting Prabhupada and all of you, I had bought that album Prabhupada did in New York, and John and I listened to it. I remember we sang it for days, John and I, with ukulele banjos, sailing through the Greek islands chanting Hare Krishna. Like six hours we sang, because we couldn't stop once we got going. As soon as we stopped, it was like the lights went out. It went on to the point where our jaws were aching, singing the mantra over and over and over and over and over. We felt exalted; it was a very happy time for us." "It brings a state of ecstasy."